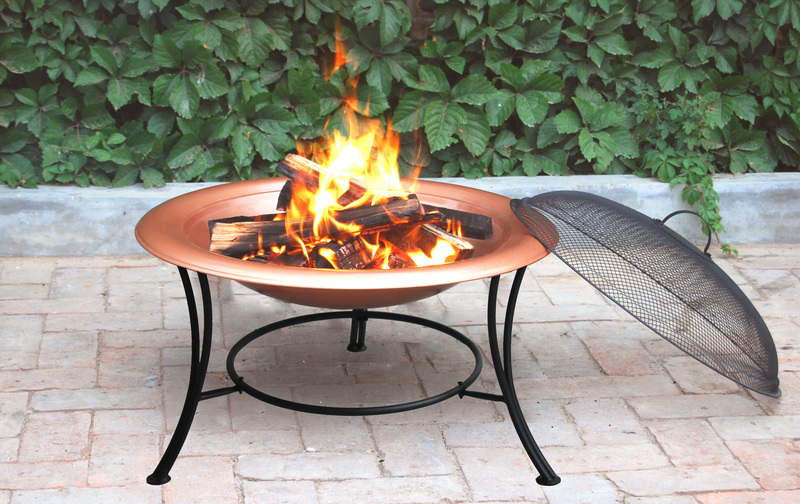 Stylish copper and black steel fire pit, the perfect addition to any outdoor space. Bright Copper finished steel bowl (High Temperature resistant) with sturdy black steel frame. Comes with a mesh guard to reduce spitting and a poker for stirring the fire. Suitable for burning charcoal and logs. The bowl is lightweight and removable when cool for easy disposing of ash and cleaning. Delivered flat-packed and easy to assemble. With a diameter of 30"/76 cm and a height of 22"/57 cm this fire pit will fit into any sized garden. Stronger and tougher than similar lighter fire pits, yet still protable. Make use of your garden/patio even when the nights get chilly. 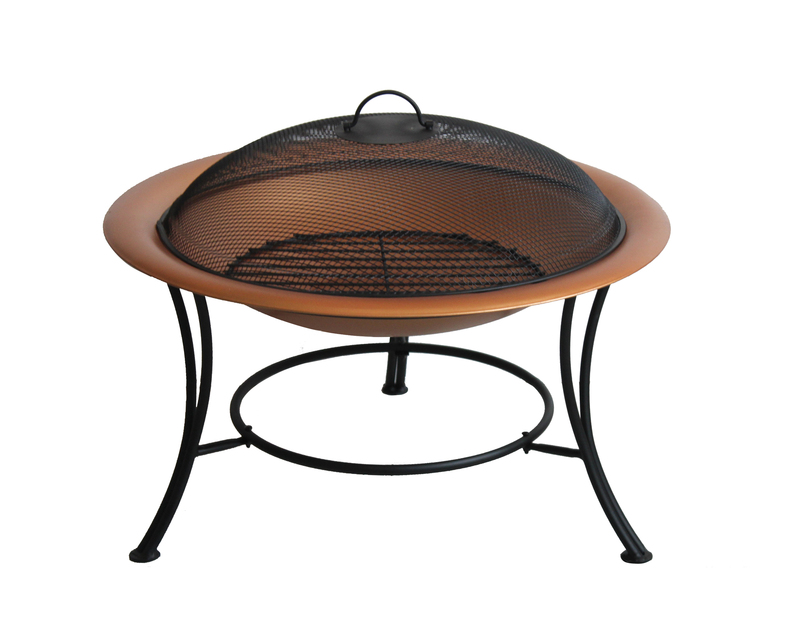 With a Bright Copper finished steel bowl (High-Temperature resistant) and sturdy black steel frame, this fire pit becomes the focal point of your garden/patio. Suitable for burning charcoal or logs, the lightweight bowl is removable once cool for easy disposing of ash and cleaning. Comes with a log grate, mesh guard to reduce spitting, and a poker for stirring the fire. Delivered flat packed requiring easy assembly, instructions and tools included. Safety Note: Never use a fire pit on a decked or other flammable surface and do not leave unattended.